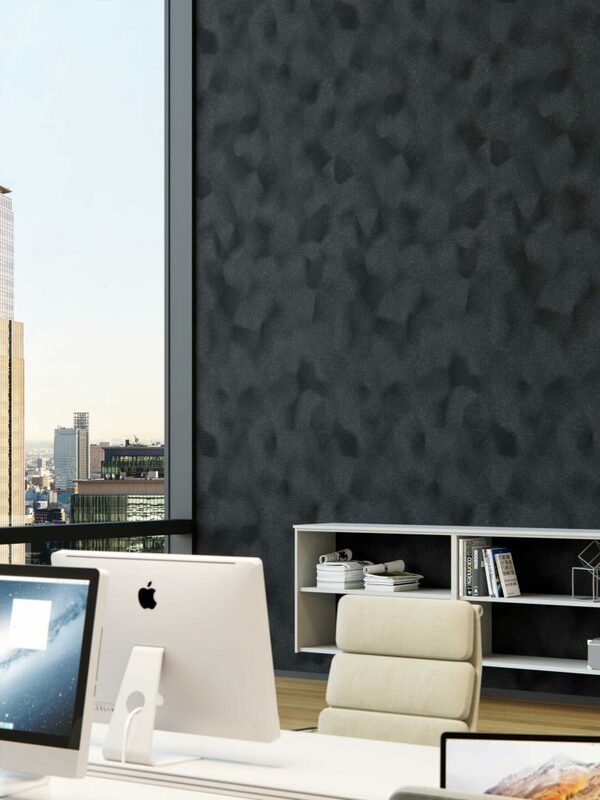 The studio has collaborated with Australian brand Woven Image on a new range of acoustic wall panels. 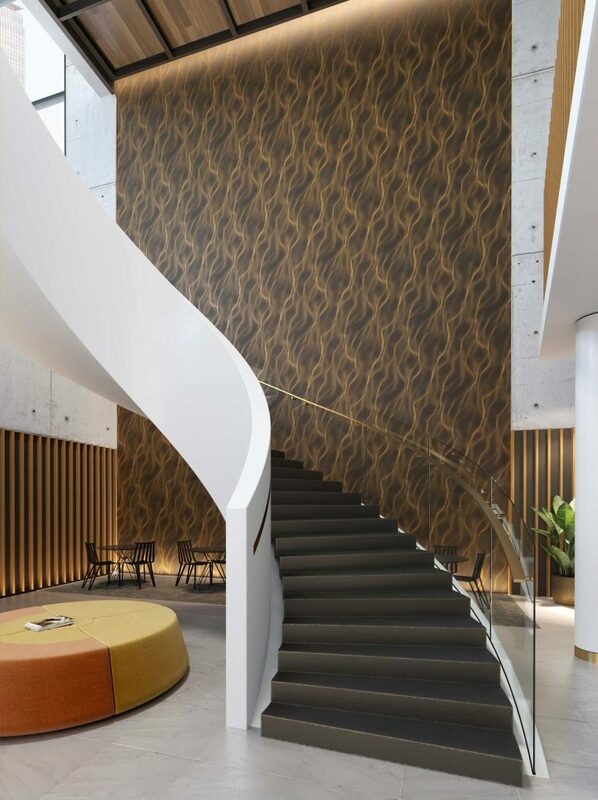 Notable for their extraordinary patterns that feature contrasting colour prints as well as subtle tone-on-tone colours and pearlescent ink, the Muse range is perfect for seamless floor-to-ceiling applications in commercial interiors. 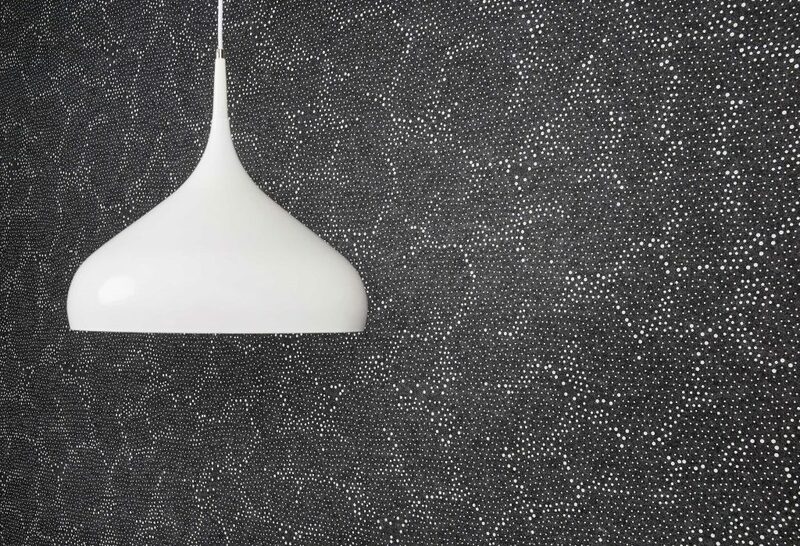 The collection comes in three designs: Muse Fluid evokes the movement of the ocean and is available in five colourways (Ice, Ivory, Goldeneye, Lavender and Emerald); Muse Cloudy is based around a series of varying dots that converge to produce a ‘cloud-like’ effect and contains three options (Sandstone, Starlight and Foam); finally the cross-hatch style design Muse Mineral can be specified in two different versions (Calcite and Steel).